Price includes etching and color fill on black crystal base. Elegant crystal diamond resting on three cystal columns. 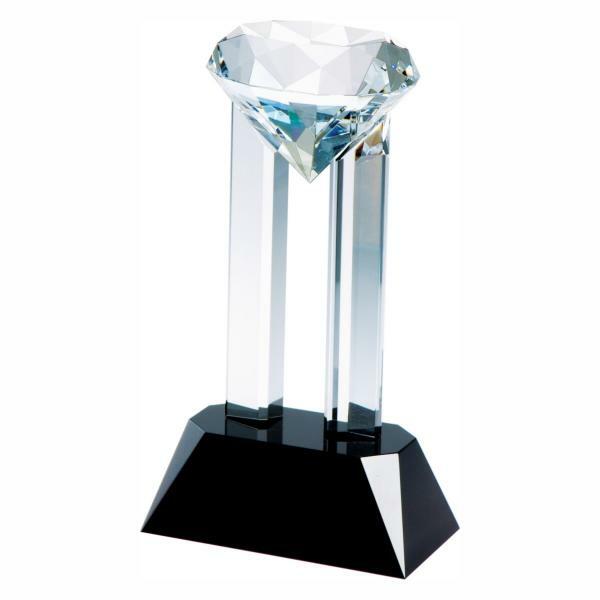 The silver filled etching on the black crystal base will add a sparkling touch to this magnificant award.